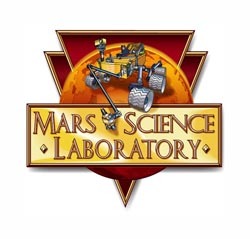 Mars rover Curiosity landing: be ready! NASA announced news activities for Mars landing which started on August 2. The series of news briefings from NASA’s Jet Propulsion Laboratory in Pasadena, California, will give you all the information you need on the upcoming landing of NASA’s Curiosity rover on Mars. The landing is scheduled for August 5. Cruise stage configuration of MSLThe MSL mission has four scientific goals: Determine the landing site’s habitability including the role of water, the study of the climate and the geology of Mars. It is also useful preparation for a future manned mission to Mars. 1.Determine the mineralogical composition of the Martian surface and near-surface geological materials. 2.Attempt to detect chemical building blocks of life (biosignatures). 3.Interpret the processes that have formed and modified rocks and soils. 4.Assess long-timescale (i.e., 4-billion-year) Martian atmospheric evolution processes. 5.Determine present state, distribution, and cycling of water and carbon dioxide. 6.Characterize the broad spectrum of surface radiation, including galactic radiation, cosmic radiation, solar proton events and secondary neutrons. As part of its exploration, it also measured the radiation exposure in the interior of the spacecraft as it traveled to Mars, and it is continuing radiation measurements as it explores the surface of Mars. This data would be important for a future manned mission. Now we hope Curiosity rover will land successfully and bring some interesting data from Mars!